Your Taxi Stand provides a definitive collection of state-of-the-art BMW cars based on the needs of our clients. 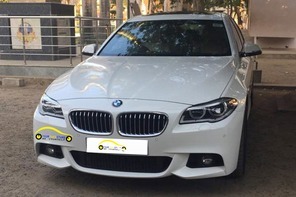 Our BMW car collection is carefully selected to provide maximum luxury, unique VIP experience and the most comfy transports in and around Chennai. The all-new BMW 5 Series is the incarnation of the modern business sedan all thanks to its dynamic blend of the latest technology with an elegant appearance. It accurately meets the expectations placed on cars within its range, providing an elegant aesthetic athleticism and driving pleasure that combines well with its adoption of state-of-the-art technology. 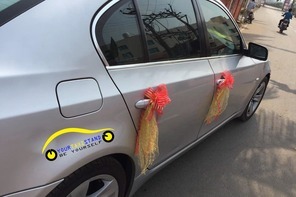 It will provide an exquisite experience for wedding and executive travels. The 530 is a luxurious car which provides a unique level of comfort with an exquisite finish for someone who wants to enjoy luxury in a 3 Litre engine with Night camera assist and Moon Roof. Liters/type. 2.0-liter twinpower turbo inline 4-cylinder. Horsepower (bhp) 248 @ 5200-6500. Torque (lb-ft @ rpm) 258 @ 1450-4800.